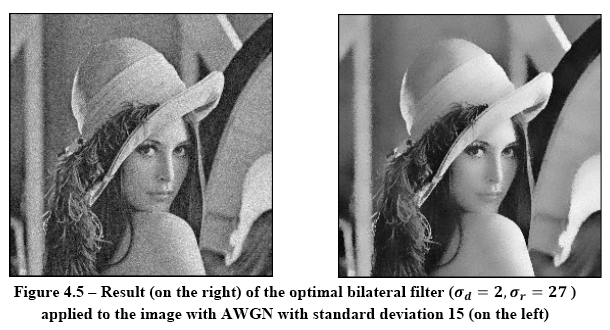 Bilateral filters are non-linear, edge preserving filters and are widely used for image denoising. The filter has two components, one in the space domain (domain filter), the other in intensity (range filter). Most applications of the bilateral filter employ Gaussian kernels in both domains. In this project, we introduce the bilateral spline filters. We propose the use of centered B-Spline functions of various orders as the kernels. Since centered B-Splines tend to a Gaussian as their order increases, they include the commonly used Gaussian bilateral filters as a special case. These filters have two important parameters which are highly crucial in determining the quality of the output. Another objective of this project is to use SteinÕs unbiased risk estimate (SURE) to approximate the MSE for different parameters, and choose the optimal ones. Specifically in the context of denoising images corrupted by additive white Gaussian noise. We have developed ImageJ plug-ins for all the variants of bilateral filters proposed in this project. Experimental results on synthesized as well as noisy õmages are presented.